Hippophaes tea is made from fresh leaves that are hand-picked from the fields of our Cooperative, which are then dried by natural ethods. Tea from hippophae containv protein and many antioxidants. It is also an excellent source of natural amino acids, as well as calcium, magnesium, potassium, folic acid, tocopherols, carotenoids. Effective in reducing inflammation, increasing hemoglobin, aintaining healthy liver function, regulating fat and bloodd suger metabolism and promoting healthy and clean skin. 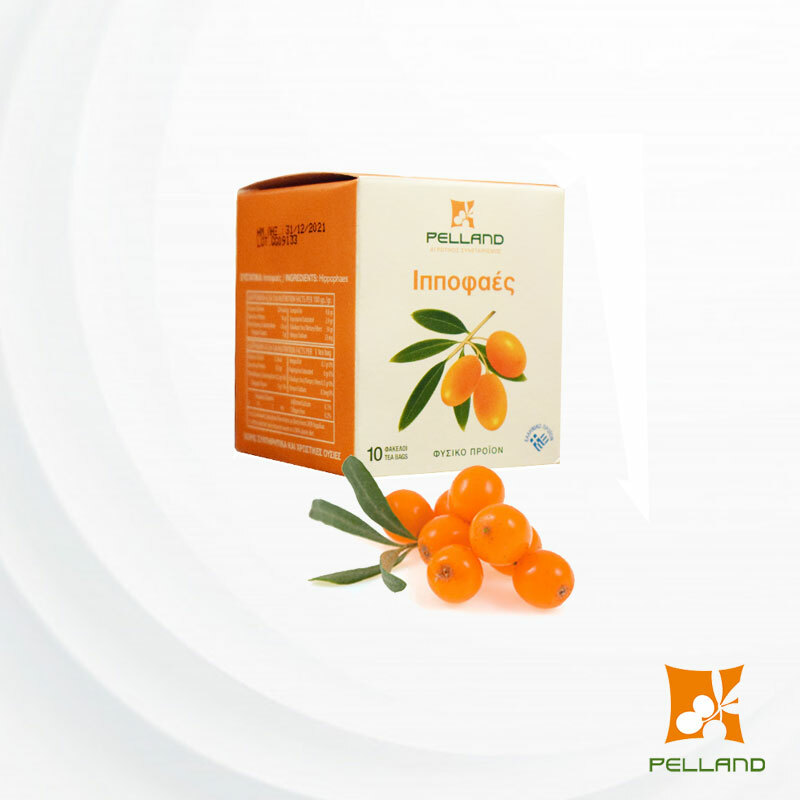 The hippophae leaves contain most of the biologically active components of fruits with even higher nutrient concentrations. In addition to the protein (16%), the leaves offer a variety of antioxidants, anti-inflammatory and nutritional ingreddients that are essential for good health. I addition, recent studies have found that the leaves contain an immersed, the stronger and richer the taste. It can also serve as a healthy alternative to coffee. Zinc, helps in the immune system and healing the wounds. Potassium, dehydration, blood pressure regulation and correct λ heart function. Magnesium, involved in over 300 reactions in the body, energy metabolism, muscle contractions. Phosphorus, an essential element for any living cell. Chromium, which increases glycogen formation and saves glycogen during muscle activity. The representative parts of the athletes of China and Russia at the 2008 Beijing Olympics have systematically used the natural beneficial potential of the hippophae. All our lands are organic and certified by TÜV HELLAS.